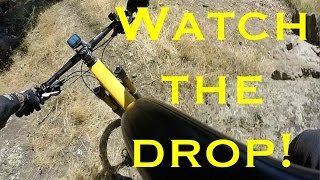 This trail has some great technical features. The portion of Longhorn Trail (0.9 miles) between Shorthorn Trail and Whippletree Trail is now designated single direction (west to east/downhill) only, mountain bike only. This section is steep and raw. Very fun for intermediate to advanced riders. The part between Maverick and Shorthorn Trail is very fun. It's fast, with a lot of roots and rock drops with good corners. The final stretch between Shorthorn and Belcher hill has a couple of short steep climbs and then one last loose rocky descent with a couple of switchbacks. Most people exit on Whippletree Trail but for a few extra feet of climbing you can catch a fast decent down Belcher Hill. 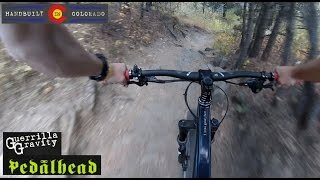 The best DH run on the Front Range? Just smile as your gas out. This trail is f....really awesome. Top of the Longhorn Trail. Big views of the front range.